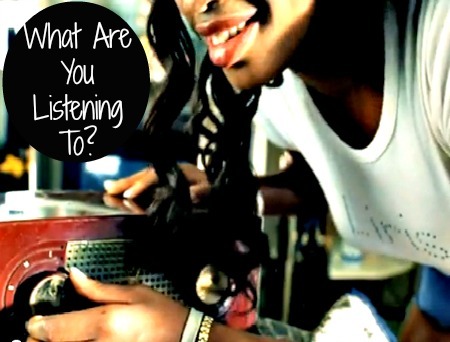 music, playlist, thanksgiving, tuesday's tunes, what are you listening to?, what ever happened to.. Happy Tuesday, folks! How are you all doing today? I hope all is well with each and every one of you and I thank you kindly for dropping by my little piece of the blogosphere today. Without further adieu, let's get into some of the music that's been oozing through my speakers today while I've cooked, cleaned, danced, laughed, and sorted laundry. Here goes! Be Thankful for What You Got by William Devaughn- Now this is truly Cadillac riding music. Though I don't have a great big Cadillac (lol) I'm thankful for the many things I do have. I love listening to this song, not only because it's a smooth tune, but because its message is so spot on. Be Thankful for What You Got is a reminder to do just that, take the time to appreciate what you have been blessed with. There are many others who are praying for the things many of us spend too much time complaining about. Just in time for the season of being thankful, William Devaughn will get plenty of plays around my way. Gotta Man by Eve- It doesn't take much for me to put a little E-V-E into rotation. So when this song played on Pandora this afternoon I was standing up reminiscing and singing, "Gotta man that I think I'm gon' love forever, and forever we'll be together." Something about this song reminds me of a simple kind of love. You know the love when you're drawing hearts in the margins of notebooks with your name and someone temporarily special affixed in their middles? That kind of love. Gotta Man is the type of love song we could definitely appreciate coming from a self-proclaimed pit-bull-in-a-skirt that is still just as relevant today as it was years ago. Poetic Justice by Kendrick Lamar featuring Drake- I think this has been my favorite song since Kendrick Lamar dropped Good Kid M.A.A.D City a few weeks back. Not only is it sampling one of my favorite Janet Jackson (yes Ms. Jackson the one I adore) songs, it shares the same title of my favorite movie, Poetic Justice, starring her also. Now whether you analyze the title as paying homage to Janet, or see it literally meaning 'virtue is rewarded and vice is punished' is totally up to you. Like many of us who write our feelings better than we vocalize them, Kendrick says that he can "never right his wrongs unless he writes them down for real." Poetic Justice is definitely served in this hip-hop slow jam as Kendrick Lamar and Drake tantalize and mesmerize us with their lyrical prowess. Come to Me (Peace) by Mary J. Blige- Hearing this song this afternoon made me think of my cousin Tay. We always have the most in-depth talks about life, love, relationships, and womanhood. One day while riding to one of our favorite eateries, she was playing this song. And boy was she feeling it! She was singing it boldly and beautifully like she was feeling it in her bones. See, that's what a Mary J. song will do to you! It will have you swimming or sinking deep in feelings you didn't even know you had! As Mary and Tay continued on with their duet, I began listening to the lyrics and missing that love I was praying would find its way back to my heart also. We were in that moment three women all begging to make peace with the same thing. And before I knew it we were in tears. It's So Hard by Big Pun- I didn't know Big Pun personally nor am I aware of what he did in his personal life. But I was saddened by his passing back in 2000. I was surfing through YouTube today when I came across the video and just knew I had to add it to today's playlist. I mean, everybody plus one were in this video, showing love and paying homage to the late great rapper Big Pun. It was so warm to see people coming together to celebrate a life. What's that one song have on repeat these days?